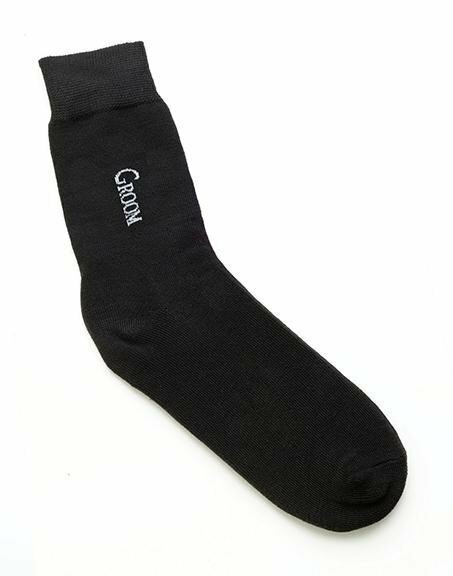 This pair of quality men's black socks for the Groom are made of cotton, nylon and elastic fibres. Each black sock has the word "Groom" in white on both sides. They are men's size 6-12. Also available in Best Man & Groomsman. Great gifts for your bridal party!